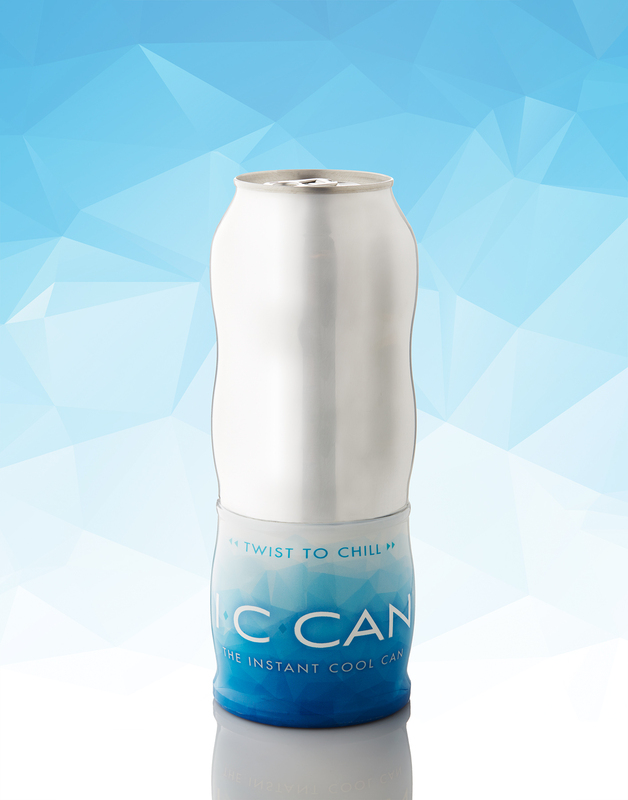 The world’s first self-chilling can is finally here! It works. It’s safe. It’s cool for the environment ! The advanced design utilizes the latest breakthroughs in thermal, insulating and vacuum heat pump technology. The self-contained I.C. Can™ is approximately the size of a 500 ml beverage can. This includes the beverage container itself and the integral self-refrigerating device. Proprietary engineering creates a temperature drop proven to reduce the I.C. Can’s™ contents by a minimum of 30° Fahrenheit (16.7° C) in just three minutes. When activated, the all natural desiccant contained within a vacuum draws the heat from the beverage through the evaporator into an insulated heat-sink container. It is this patented vacuum-power which lowers the temperature so dramatically and quickly, leaving the beverage inside cool and refreshing. And it’s safe! I.C. Can’s™ innovative design is 100% safe and environmentally-friendly; easy to operate, store and transport. The self-contained I.C. Can™ uses no carbon dioxide, CFC, HFC, or any other compressed gases and is totally non-toxic, without risk of gas or vapor escape. Developed between Tempra Technology and Crown Holdings the I.C. Can™ is the added value beverage can of the future.